Belmont University welcomed President of Stillman College Dr. Peter Millet to campus last week as the University’s first Scholar-in-Residence, a program created to celebrate diversity within higher education and encourage students to consider the field as a career. 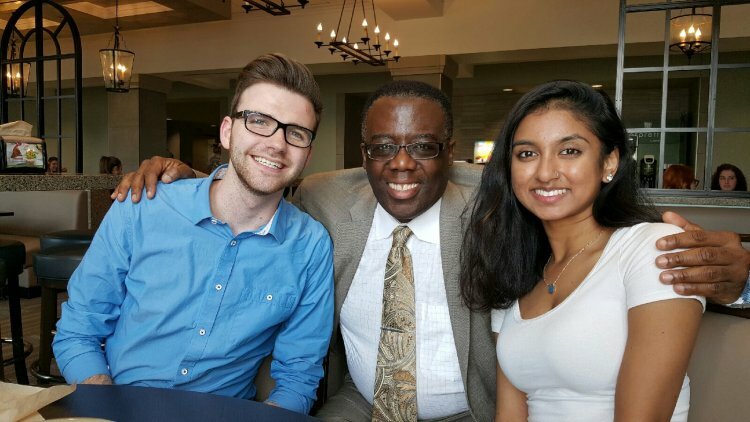 An initiative of the University’s Welcome Home Team, a committee focused on diversity and inclusivity across Belmont’s campus, the Scholar-in-Residence Program will continue throughout the 2016-17 school year. Each of Belmont’s nine colleges will select and schedule a diverse scholar in a field related to their disciplines to spend an extended period of time on campus with faculty, staff and students. While at Belmont, the scholar will host sessions on topics of their choosing and interact with students to offer guidance and opportunities for advanced work leading to a career in academia. Belmont’s College of Liberal Arts and Social Sciences welcomed Millet to campus as the inaugural scholar and hosted a number of events open to campus. Longtime friend of Dean Dr. Bryce Sullivan, Millet spoke on diversity, leadership and determination and attended meetings with many committees and groups across campus.